So excited to have Deb here today from Sprouting JubeJube. Deb has been sewing for most of her life and creates the most beautiful clothing for her children. She also makes the cutest elves at Christmas time, much cuter than those (somewhat) creepy Elfs on the Shelf! Deb is also one half of the pattern designing duo behind Audrey & Tiffany. 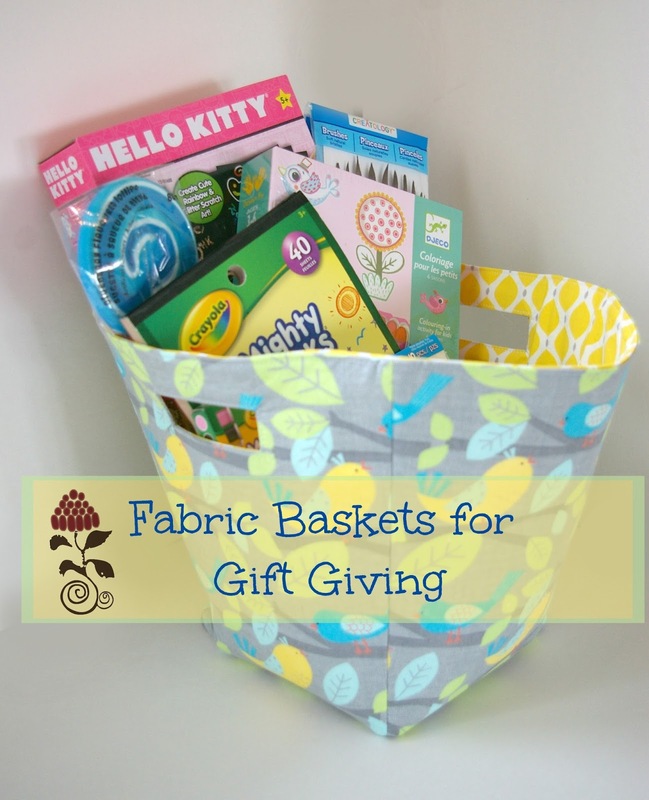 Today she is sharing a fabric basket tutorial which I am able to offer free on my blog for a limited time! 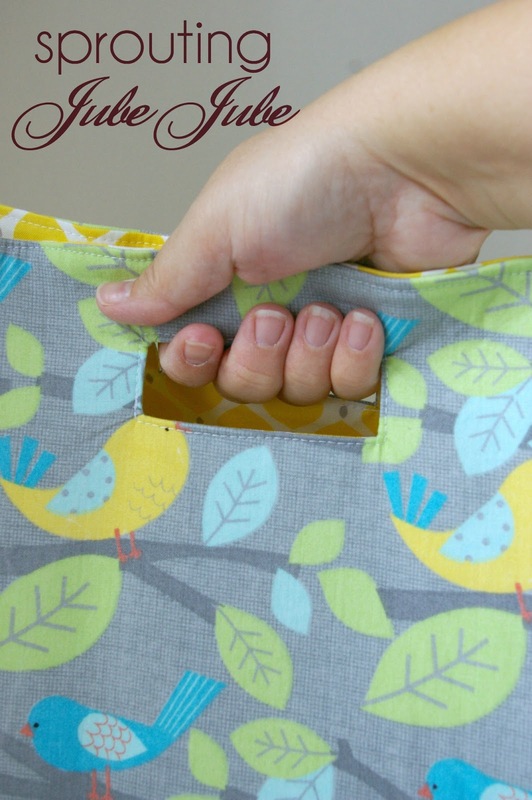 These will be perfect to give instead of using those dollar store bags to wrap your gifts in, or use them to store your upcoming sewing project! 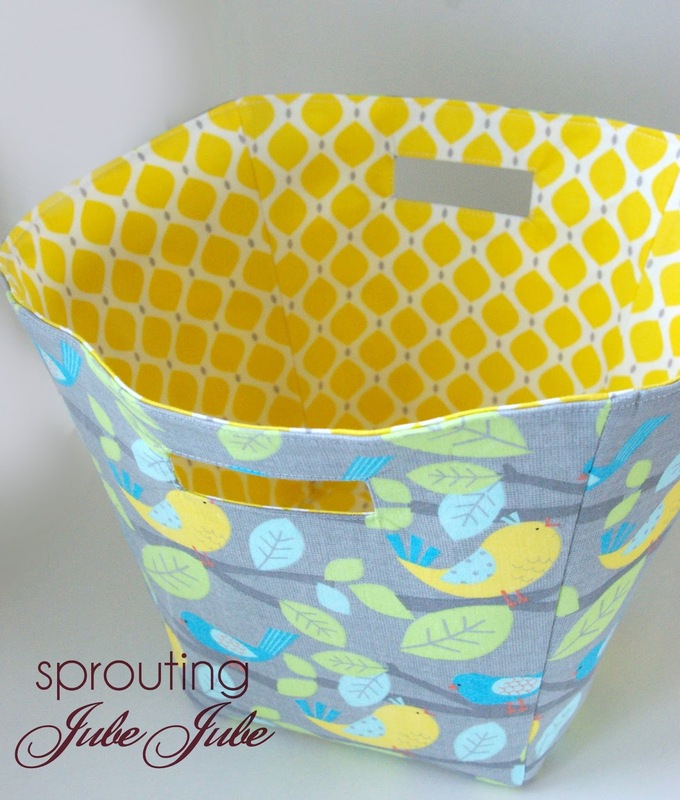 Hi, I’m Deb of Sprouting JubeJube, and today I have this cute little fabric basket that you can download for FREE for a limited time. To get started you need to download the tutorial here. I really wanted to make this basket with handles the way I did because it just seems so practical. No straps or pulls getting in the way. I was also told they are a great size for storing toys in…give the child a basket like this and tell them to clean up (ha! like that would ever happen here!). So yes, I made this basket with birds, no green and red for the Holiday Season, but I think they would be great to give as a hostess gift…bake some muffins or cookies and package them up in a basket they will be happy to use over and over again! Find Deb on her blog or Facebook. You can find Audrey & Tiffany on Etsy or Facebook. P.S. Want to learn more about Deb? Read the interview I did with her for Audrey & Tiffany for the Canadian Pattern Designer tour! Oh I love this! I was looking for a handled one just a bit ago for something to keep my baby monitor and random things that I need with me when I change rooms at night. Awesome! When you sew one up, I’d love to see it!